The Polish Sinfonia Iuventus Orchestra came into existence at the initiative of Maestro Jerzy Semkow. It was established by order of the Minister of Culture and National Heritage on October 1, 2007. The Orchestra’s mission is to bring together the most talented students and graduates of Poland’s musical academies, who are under thirty years of age.Since its debut in June 2008, the Orchestra has performed with many distinguished conductors including Gabriel Chmura, Theodor Guschlbauer, Kazimierz Kord, Jan Krenz, Grzegorz Nowak, Krzysztof Penderecki, Jerzy Swoboda, Evgeny Volynskiy, Antoni Wit, Tadeusz Wojciechowski, as well as the conductors of the young generation. Among the many prominent soloists who have appeared with the Orchestra are Dorota Anderszewska, Yulianna Avdeeva, Abdel Rahman El Bacha, François-René Duchâble, Lukas Geniušas, Krzysztof Jabłoński, Jakub Jakowicz, Andrei Korobeinikov, Ivan Monighetti, Janusz Olejniczak, Piotr Paleczny, Agata Szymczewska. Along with performing at numerous venues within Poland, Sinfonia Iuventus has also performed abroad in Austria, China, France, Germany, Italy, Lithuania, Portugal, Spain, Switzerland and Ukraine. The Orchestra has made recordings for radio, television and film. They have released many CDs including Gabriel Chmura (Strauss, Françaix, Debussy), Tadeusz Wojciechowski (Chopin), Marcin Nałęcz-Niesiolowski (Chopin), Mariusz Patyra (Wieniawski) Ivan Monighettim (Haydn), and Agata Szymczewska (Bruch, Wieniawski, Mendelssohn) and Krzysztof Penderecki (Symphonies). 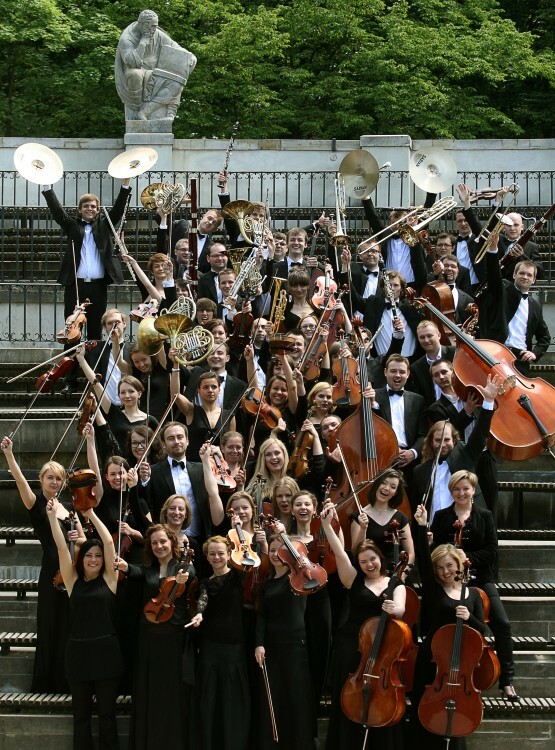 In April 2009, the Orchestra became recognized as a member of the European Federation of National Youth Orchestras (EFNYO).